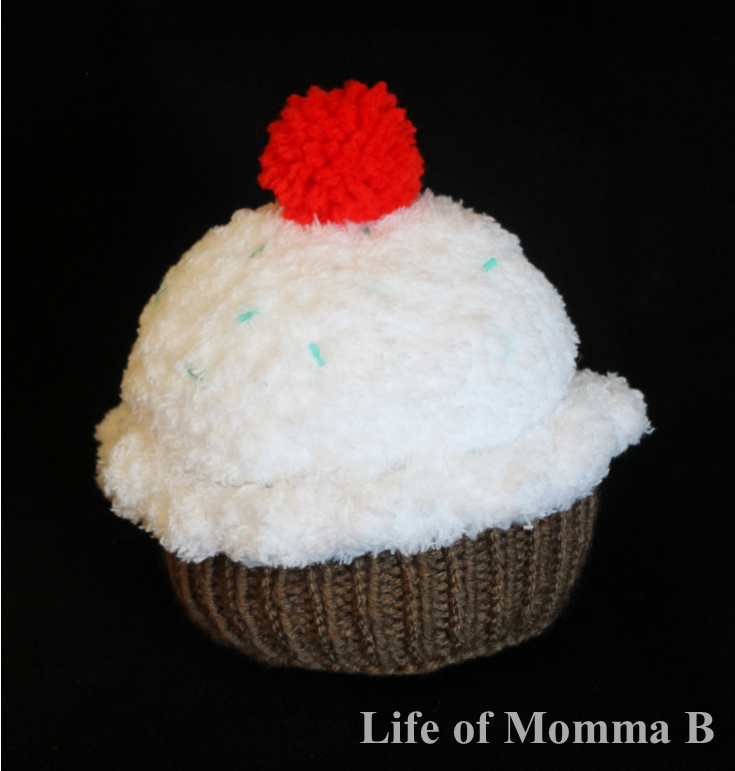 Recently I knitted up this cupcake for a girl whose nickname is cupcake. I began with a free pattern I found on Knit for Your Life. The bottom of the cupcake is knitted brown Red Heart Super Saver Yarn. To obtain the fluffy look for the “icing” part, I used 35 yards of Bernat Pipsqueak yarn. To add a little extra to the cupcake I topped it with a pom-pom and added sprinkles. The sprinkles are small glass oblong beads that I hand sewed into place. This was a quick project that I was able to complete in one evening. This entry was posted in Knitting and tagged Amigurumi, beads, brown, cupcake, food, free pattern, holiday, red, stash buster, toy, white. Bookmark the permalink.